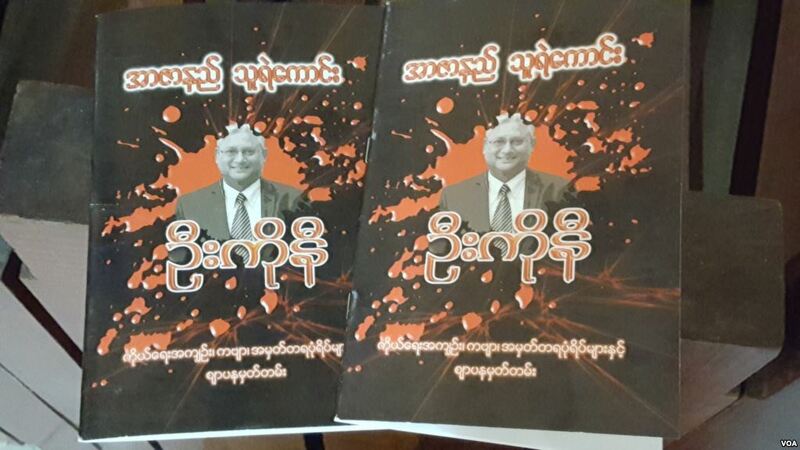 YANGON — Over the past five weeks, the public tributes to Ko Ni - a prominent legal adviser assassinated in Yangon on January 29 - have highlighted his many achievements. 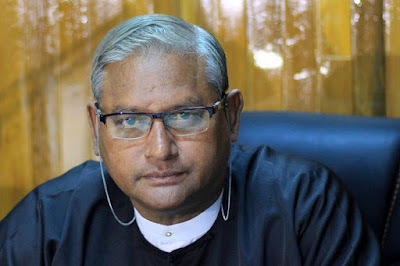 The 63-year-old lawyer was a sharp legal mind, a tireless worker, a constitutional law expert and a staunch supporter of Myanmar’s transition to democracy after nearly five decades of military rule. 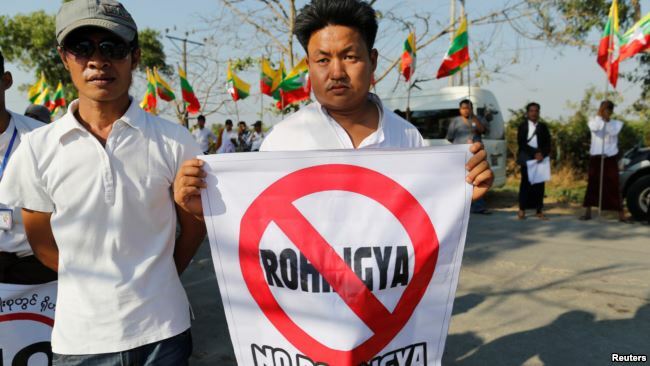 But the praise has glossed over his importance as a high-profile member of Myanmar’s Muslim community, one of its few remaining voices with any sway or influence in government circles. Ko Ni, a prominent member of Myanmar's Muslim minority and legal adviser for Myanmar's ruling National League for Democracy, during an interview in Yangon, Jan. 13, 2016. Ko Ni was shot dead Jan. 29, 2017. 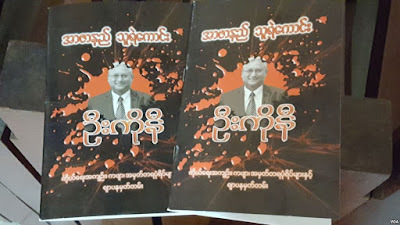 While analysts have pointed to his work on reducing the military's influence through changes to the constitution as the most likely motive for the murder, his death has also widened the gap between Muslims and political life in Myanmar, prompting reflection on the shrinking space for civic participation from religious minorities in the largely Buddhist country. Though making up only about 4 percent of the population, Muslims in Myanmar have long played important roles in political life. A Muslim politician, Abdul Razak, was assassinated along with Aung San Suu Kyi's father, Aung San, in 1947, and Muslims were active in the pro-democracy uprising in 1988. But as the country opened up to the world in 2011, Buddhist nationalism flourished at the expense of religious minorities. People protest while Malaysian NGO's aid ship carrying food and emergency supplies for Rohingya Muslims arrives at the port in Yangon, Myanmar, Feb. 9, 2017. More than 120,000 ethnic Rohingya Muslims were placed in camps in western Rakhine state after inter-religious violence in 2012 killed hundreds. As Myanmar’s democratic elections loomed in 2015, election officials rejected the candidacy of a previously elected Rohingya lawmaker, citing dubious citizenship grounds. Aung San Suu Kyi’s National League for Democracy (NLD) bowed to pressure from nationalist groups by not fielding any Muslim candidates for parliament. Those who ran for other parties lost in the wave of support for the NLD. Today tens of thousands of Rohingya Muslims have fled to Bangladesh as Myanmar’s army rounds up anyone with ties to a little-known militant group that attacked a border post in October, killing nine. Rights groups have said abuses committed in the crackdown could amount to crimes against humanity, but Myanmar, which rejects the allegations, has resisted calls for an independent investigation. As part of the investigation into Ko Ni’s murder, which is widely believed to have been motivated by politics rather than religion, authorities have arrested three people and are searching for a fourth suspect. At the memorial on Sunday, which was held at the Royal Rose restaurant in Yangon, writer Htin Lin Oo, who spent more than a year in jail for a speech in 2014 deemed offensive to religion, commented on the slow erasure of Muslims from public life. Mya Aye is a Muslim member of the 88 Generation, a group of student activists who took part in the 1988 protests. Wai Wai Nu herself has to be “strategic” in what she says online. “Sometimes, I want to post something, I cannot. That can bring a lot of attention to you,” she said, adding that it can be the same for many other minority groups, not just Muslims.